The Sonic Fruit Shorts Competition is closed for another year! Sound is one of the most important components of a film but is the area that is most commonly overlooked. 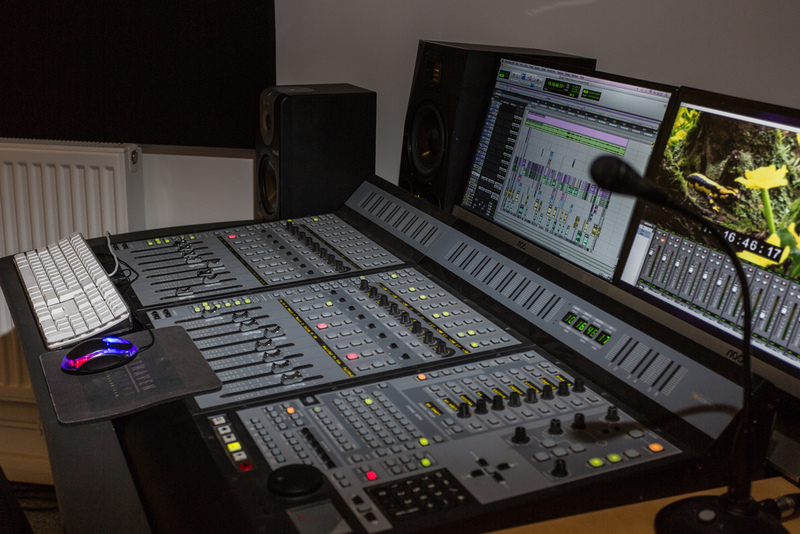 We are offering one lucky winner a full post-production sound treatment of their film, including an edit of the production sound, and full tracklay, where appropriate, of sound effects, foley and sound design, as well as a final mix in 5.1 surround sound. • Make a short film (if you haven't already) that is forty (40) minutes or less in length. • Submit a locked cut to helen@sonicfruit.co.uk by 27th April 2018 via YouTube/Vimeo link. • Tell us a bit about yourself and your film. • Completely free to enter. • Open to anyone and everyone – entry is not limited by age, gender, experience or location. • Not specific to any genre or medium. Live action, animation, documentary, romance, drama – anything goes! • Full post production sound treatment, as appropriate to the film. (Including full track-lay, foley, sound design, dialogue edit and final mix). The winning film will be selected by our esteemed panel of judges, consisting of industry experts and established filmmakers. Justin joins the judging panel this year, all the way from L.A, where he works as a writer, producer and director. Justin has a number of credits to his name - including 'Hexagon' (2013, sound-designed by Sonic Fruit) and 'Crouching Tiger, Hidden Dragon: Sword of Destiny (2016), on which he was a script editor. We're thrilled to have Jane back for a third year on the judging panel. Jane is the director of critically acclaimed My Feral Heart, which is now available on DVD (www.myferalheart.co.uk). Jane is currently in development on several exciting new projects. Imogen trained as an actress at The Drama Centre London and has since worked extensively in film, commercials and comedy sketch work. She is a prolific voice artist for audio books (one of Audible's top ten narrators), voice overs, and much more. She has worked with Sonic Fruit on numerous projects and we're delighted to welcome her to the judging panel for 2018! By submitting your film to Sonic Fruit Shorts you confirm that you have full permission for all contributors, locations and music used in the film. Submissions must be emailed to helen@sonicfruit.co.uk by midnight (00:00 GMT) on Friday 27th April 2018. The winner will be announced by 12 noon (12:00 GMT) on Friday 25th May 2018. Prize presupposes delivery of a locked picture edit, offline production sound and any score to be included. To enable Sonic Fruit to undertake the post production work, the winner must be able to submit a Quicktime file of the picture (a full, locked cut) and an AAF, or OMF, of the offline audio. On selection, Sonic Fruit will contact the winner to discuss this in further detail. You can see Rahman here.